This intuition also led Longchamp to tap supermodel Kendall Jenner to appear in their fall campaign, which launched last month. The ads feature Jenner in Parisian-chic ensembles like a black velvet tuxedo, black and white shearling coat, and black burnout-velvet long-sleeve dress and carrying a corresponding bag from the brand’s soon-to-be iconic new Amazone collection. In addition to print ads, the campaign also features a handful of short videos that show Kendall movin’ and goovin’ in the clothes and just generally modeling about. There is also a more traditional minute-long commercial starring Kendall and a beautiful chestnut stallion running through the streets of Paris and nuzzling at the top of the steps outside Sacré-Cœur. No doubt you will begin seeing shorter versions of the ad playing on TV and online soon, if you haven’t already. Longchamp’s 70th anniversary celebration will continue next month with a special event at the Opéra Garnier in Paris, capping off a year of milestones for the brand, including the opening of their Fifth Avenue flagship in Manhattan and the launch of their limited-edition collaboration with Shayne Oliver. Of course, the year isn’t over yet. 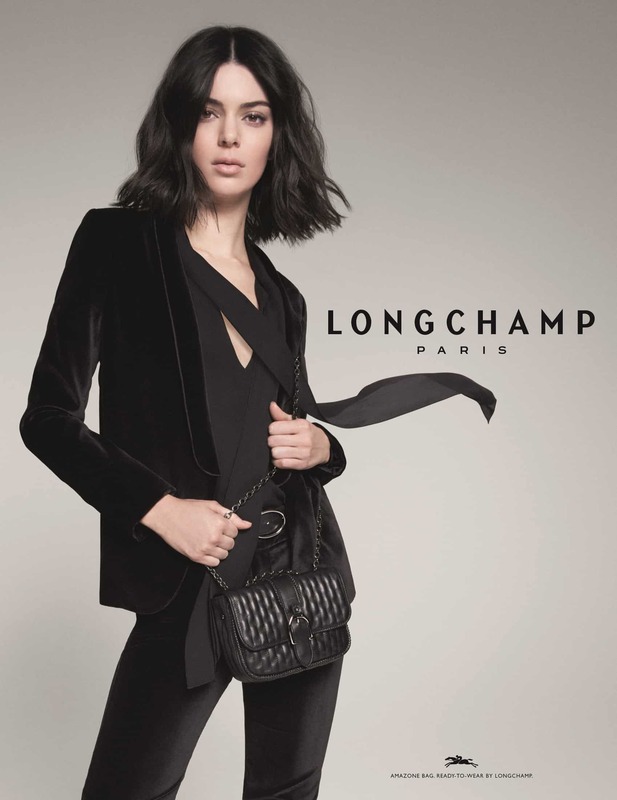 No doubt Longchamp has one or two more surprises up their sleeve. Only time will tell!